(Natural News) Excessive phosphate intake can harm the kidneys of cats, a new study has revealed. According to researchers from Ludwig-Maximilians-Universitaet, too much phosphate can impede kidney function and may be partially responsible for the high occurrence of chronic kidney disease among older cats. To arrive at this conclusion, the researchers placed 13 healthy adult cats on a high-phosphate diet, about five times the required amount. The experiment took place over the course of 29 days; feces and urine samples were collected from the cats during 10 of those days. Following this, the researchers performed endogenous creatinine clearance tests to measure serum creatinine levels. Creatinine clearance dipped considerably and phosphate became highly available. Moreover, the researchers observed the presence of glucosuria and microalbuminuria in nine of the 13 cats. Both of these excretions are considered to be markers of renal damage. “We were surprised to find that creatinine clearance was so strongly affected within such a short time,” said study co-author professor Ellen Kienzle. Now, the researchers plan on furthering their study by assessing the impact of various phosphate sources on cat kidneys. Additionally, they also plan on investigating the effects of phosphate solubility on the nutrient’s bioavailability. Give them plenty of water: Just like with humans, water is essential to healthy kidney function since it helps the kidney flush out wastes. Remember to clean your cat’s water bowl daily to prevent bacterial build-up. If you notice that your cat isn’t drinking often from their bowl, you may want to switch to a different type of bowl or to a cat water fountain. The latter is a bit pricier, but many cats seem to enjoy it over regular bowls. Opt for spring water: Whenever possible, give your cat spring water and stay away from unfiltered tap water. Additives like fluoride and chlorine are oftentimes present in tap water, making it unfit for feline consumption. Clean your cat’s litter box at least once a day: Cats are finicky and fastidious creatures that don’t like doing their business in dirty litter boxes. Given the choice between a dirty litter box and holding it in, they’d much rather hold it in. That will just increase their risk for urinary tract infections, and may even damage their kidneys over time. 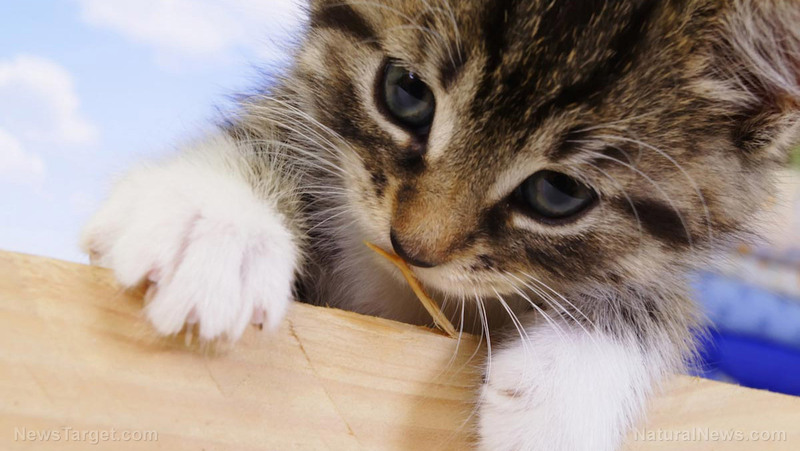 By keeping their litter box clean you’ll encourage them to relieve themselves more often. Play with your cat: Exercise promotes metabolism, which in turn encourages good kidney function and helps in the waste elimination process. This means that your cat’s kidneys won’t be put under unnecessary stress. You don’t even have to play for too long. Just one or two 20-minute play sessions each day will suffice. Avoid an all-dry diet: The majority of dry commercial cat foods tend to contain only 10 percent moisture at the most. Additionally, dry cat food absorbs moisture as it’s being digested. Both of these attributes greatly affect your kidneys, which end up putting in extra work due to the dry cat food. Straining your cat’s kidneys only sets them up to become more prone to kidney damage, urinary tract infections, and urine crystallization. Visit PetHealthDaily.com for more guides and tips on keeping your cat healthy.